The City of Walhalla will accept sealed bids for parking lot repairs at 105 West Main Street, Walhalla, South Carolina (Oconee County). Home » News » The City of Walhalla will accept sealed bids for parking lot repairs at 105 West Main Street, Walhalla, South Carolina (Oconee County). 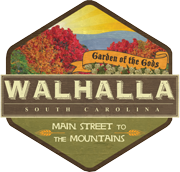 The City of Walhalla will accept sealed bids for parking lot repairs at 105 West Main Street, Walhalla, South Carolina (Oconee County). The bids should include a cost for complete resurfacing of the lot, with an alternate bid for patching and sealing the lot. Bids will be received at 206 N Church Street, PO Box 1099, Walhalla, SC 29691 until 2:30PM on Tuesday, April 4, 2017, and will be publicly opened at that time. Envelopes should be marked “Parking Lot Bid”. The project is to be done according to SCDOT Standard Specifications. All work performed must be covered by a 100% performance bond. The City of Walhalla will not be responsible for delays in the mail and has the right to reject any and all bids and waive any technicalities.